Walking along the Coastal Trail, it’s hard to miss the chunks taken out of the bluffs on Mirada Road. What was once a wooden stairway down to Miramar Beach is dangling by a thread, while recent reports claim that the driftwood bench many locals have used for whale watching has collapsed over the edge. The damage is documented in this video report by KRON4. 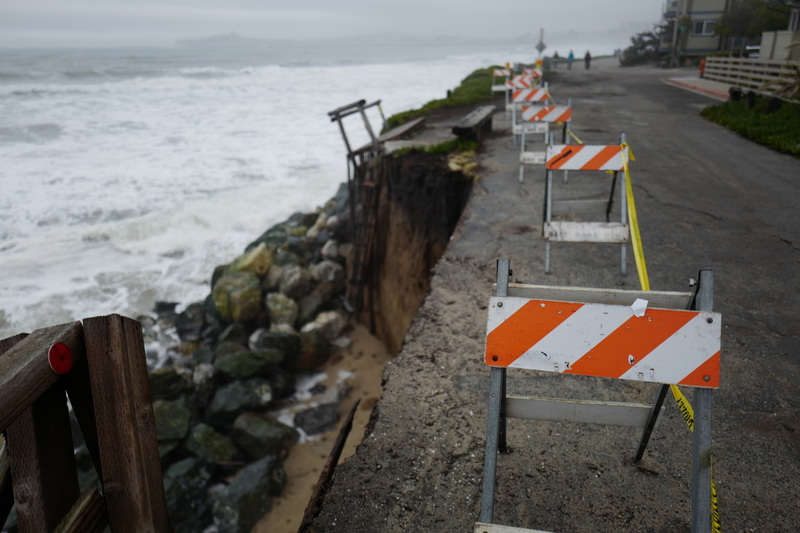 If the erosion continues then homes and business will have to be vacated. Check out the Save Miramar website, sign the Change.org petition and contact your local government representatives to help our neighbors in Miramar!